Make sure you have all your jars and lids washed, dry and ready to go. It’s best to use one to two cup containers. Wash the raspberries and let them dry before starting. It is very important to have the containers and lids dry. 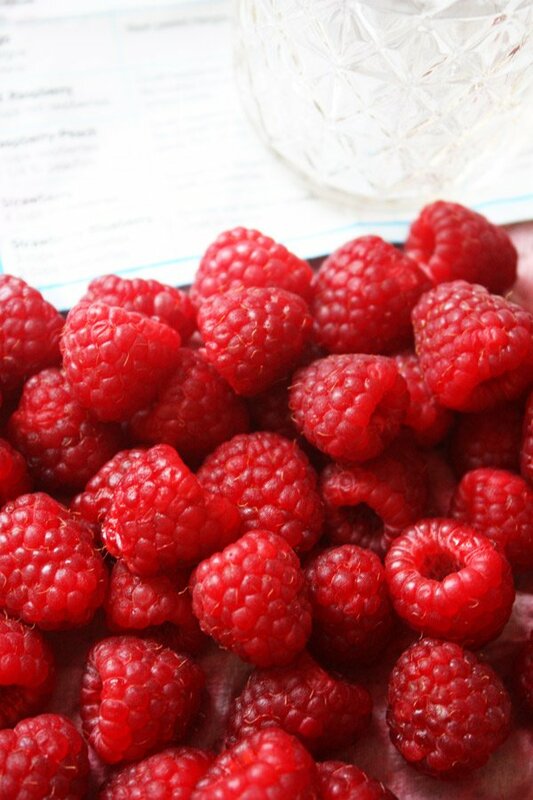 Also make sure the raspberries do not have any excess water on them. One thing that is very important is to have the exact amount of ingredients. Just a little short on sugar? Call that friendly neighbor and ask for a cup of sugar. Really. If it is not the exact amount, it will not turn out correctly. Once the raspberries are dry, crush the raspberries, one cup at a time. A potato masher works great to crush the berries. Measure out the sugar in a separate bowl. Add the sugar to the berries and stir until combined and let sit for ten minutes, stirring occasionally. In a small saucepan, stir together the Sure Jell and ¾ cup water. Bring to a boil on high heat, stirring constantly. Boil for one minute, stirring constantly. Remove from heat. Stir pectin mixture into the fruit mixture. Stir constantly until the sugar is completely dissolved, about three minutes. It is okay if there are still a few sugar crystals. 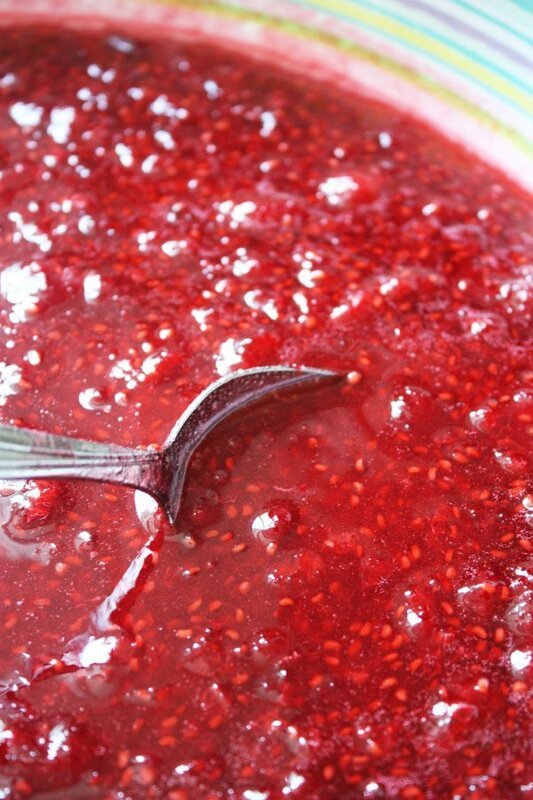 Once the jam mixture is ready, pour into the jars leaving ½ “ space from top of the jam to the top of the jar. This leaves room for expansion once the jam is placed in the freezer. Cover the jam tightly. Let it sit out on the counter or table for 24 hours or until it is set. (this means it has firmed up) Then put it in the refrigerator or freezer. It will be good in the refrigerator for up to three weeks, and in the freezer for up to one year. It’s a good idea to label the jam with the date so you will be able to remember when the jam was made. 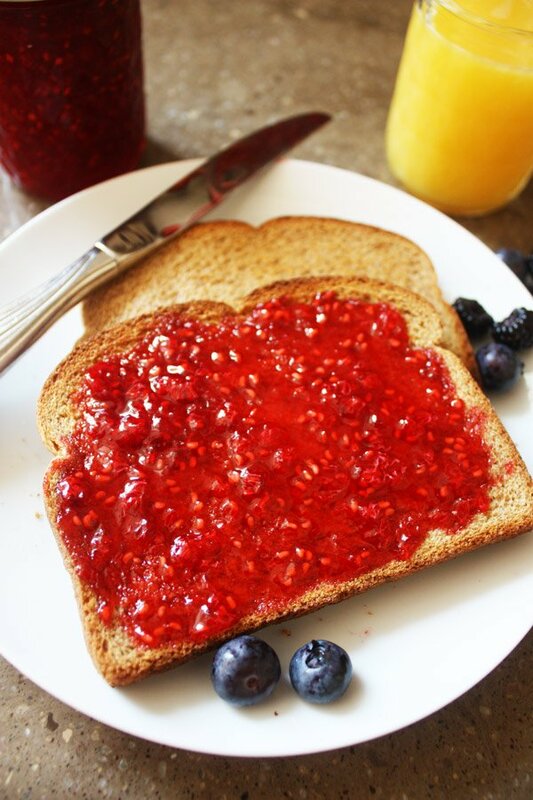 Enjoy it on toast, peanut butter and jelly sandwiches, whatever you like jam on. 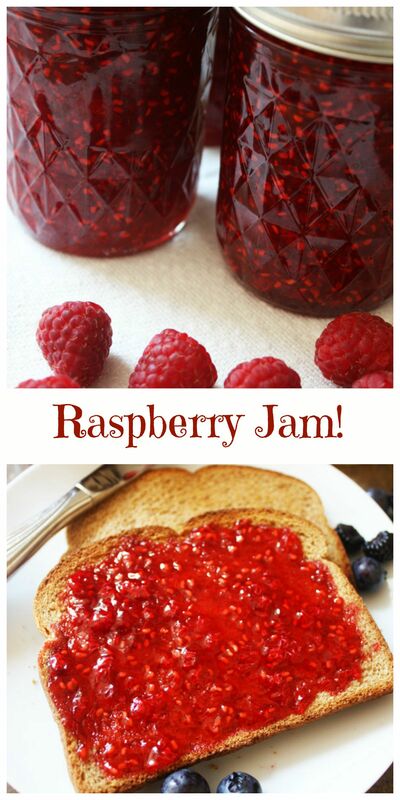 A quick and easy freezer jam recipe. 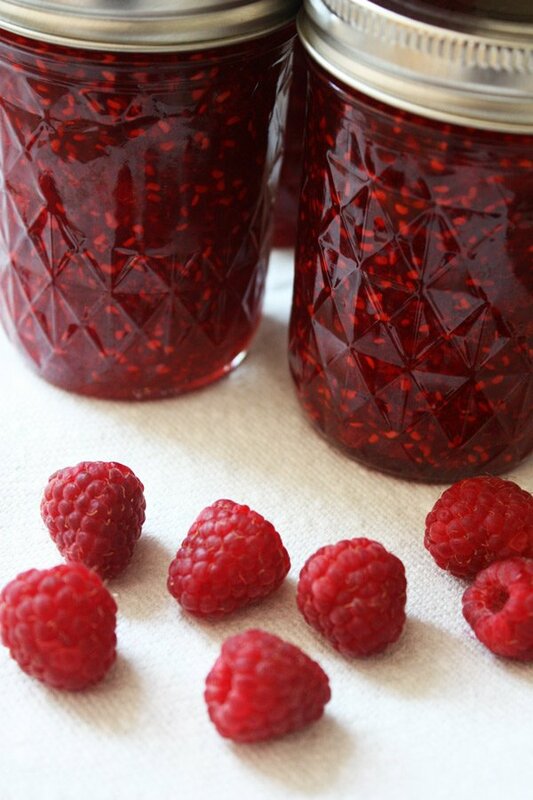 This recipe makes seven cups of jam. Wash and dry your containers, which should be one to two cup size. Wash the raspberries and set them aside to dry. Crush the berries, one cup at a time. Measure out exactly three cups of crushed berries. Measure exact amount of sugar in a separate bowl. Stir sugar into prepared fruit and stir constantly until sugar is completely dissolved. Let it sit for ten minutes, stirring occasionally. In a small saucepan, stir together the Sure Jell and 3/4 cup water. Bring to a boil on high heat, stirring constantly. Boil for one minute, stirring constantly. Remove from heat. Stir pectin mixture into fruit mixture, stirring constantly until the sugar is completely dissolved (about three minutes). Pour into prepared containers leaving ½” space at top to allow for expansion in the freezer. Let sit at room temperature for 24 hours or until set. Good in refrigerator for up to three weeks and up to one year in freezer. Thaw in refrigerator. when do you put in the Sure-Jell? this seems incomplete. I am so sorry that I didn’t have the recipe written correctly in the recipe card area. I just updated the recipe card and should be all set. If you have any other questions on the recipe, please let me know. Thanks for bringing that to my attention. Have a great day.